North Phoenix has a variety of communities marked by different architecture and a wide range of amenities. Each is typically governed by an HOA (Homeowners Association) that charges fees to support maintenance of common areas and facilities. Some subdivisions and master-planned communities have multiple HOAs (or at least separate rules and fee structures) for gated vs. non-gated sections and/or areas with single family homes vs. condos, patio homes or apartments. Tucked into the burgeoning suburbs along Norterra Parkway is this gated, urban-inspired swatch of freestanding "courtyard villas." Each blocky, chic home shares a front courtyard with five others. A small neighborhood among several west of I-17 and just south of the Carefree Highway, with a range of floor plans to choose from. The community is a short drive away an Albertson's grocery and a shopping plaza that includes a fitness center. 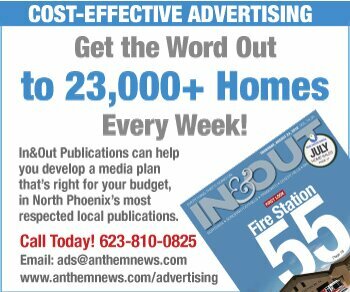 The Outlets at Anthem is less than 10 minutes away. This small community is right across the street (North Valley Parkway) from the new Fry's Marketplace. It's a compact neighborhood with easy access to I-17 and the Happy Valley area. One of the larger HOA-governed communities in the North Valley, Sonoran Foothills has more amenities than most nearby communities — all the things you'd expect in a master-planned development. While it has gated and non-gated sections, the central community center, pool and other common features create the sense of a cohesive community. Stetson Hills borders the Deem HIlls recreation area, which has several hiking trails. Yet the community is centrally located, separated from Sandra Day O'Conner High School by a Safeway plaza, and all less than a mile from the Wet 'n' Wild water park. Remarkable architecture varies from closely-spaced, urban-like patio homes to sprawling hillside homes with broad vistas — and everything in between. Tramonto offers stunning views and lots of open space, all a stone's throw from I-17. And yes, you can say you live along the Carefree Highway. Yep, that one. 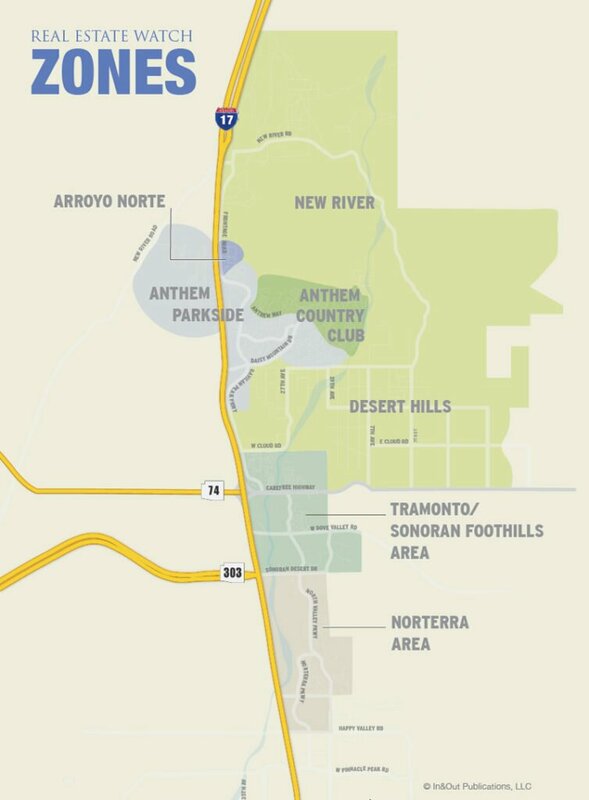 North Phoenix News and In&Out Publications have mapped NoPho into zones (below) that correspond to significant distinctions in where people shop, work and play to real estate activity. See also our interactive North Phoenix Map that locates neighborhoods as well as schools, shopping centers, hospitals, outdoor attractions and more.